Editors Note: This article is from a series by and about the invaluable William Brumfield, (Wikipedia), Professor of Slavic Studies at Tulane University, New Orleans, USA. 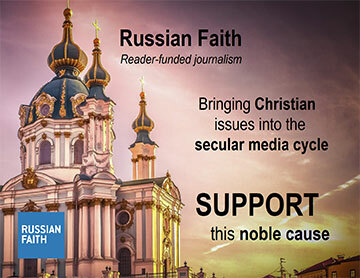 Brumfield is the world's leading historian of Russian architecture. He makes frequent trips to Russia, often to her remote regions, and records the most unusual examples of surviving architecture with detailed, professional photography. Most of the buildings he photographs is of remote churches and monasteries. It’s not easy to get William Brumfield to talk about himself. For Brumfield, 71, the foremost authority on Russian architecture in the U.S., the focus of any conversation is the work. And the work, first and foremost, is the photography. “The photography has always been the fulcrum for me to convey this knowledge that I have about Russian culture and architecture,” Brumfield said. 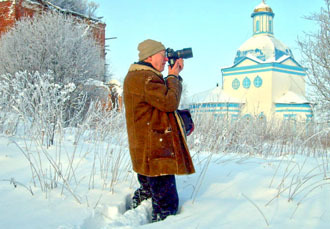 William Craft Brumfield, photographer and historian of Russian architecture. Although photography has defined Brumfield’s career, he did not train as a photographer. He studied Slavic languages and literature at the University of California at Berkeley, receiving his PhD in 1973. Perhaps fittingly, he first picked up a camera on his first trip to the Soviet Union in 1970. The only time a conversation with Brumfield hints at anything personal is when he talks about the connection between the Russian North and his native American South. Like the South, the Russian North is full of structures that tell the story of a culture clinging to its heritage while searching for a way forward. Born in Charlotte, North Carolina, Brumfield did his undergraduate work at Tulane University in New Orleans, where he has also taught since 1980. His more recent work, including “Architecture at the End of the Earth,” which was published in June, approaches Russian architecture more on its own terms, as an anomaly that doesn’t fit into the traditional narrative of Western art and architectural history. He has received numerous accolades for his work over the years, including a Guggenheim Fellowship in 2000, but he says he doesn’t seek out these opportunities, rather they find their way to him. The National Gallery archive led to connections at the Library of Congress, which supported other research trips, which in turn led to other grants. Brumfield’s unique ability to create these powerful images of Russian architecture comes from his roots as a scholar of Russia itself, according to Blair Ruble, former director of the Kennan Institute in Washington, DC and a longtime friend of Brumfield. “His interests grew from his love of Russian culture, which makes his photography different from that of an architectural photographer. No one – certainly no foreigner, and only a handful of Russians at most – have ever attempted as comprehensive a compendium of the Russian built environment as has Brumfield,” Ruble said. For now, Brumfield is focusing is on archiving the images that exist in pre-digital form — as well as taking more. Last winter, he was invited to photograph the memorial to victims of the Gulag in Norilsk, a formerly closed city that even today requires an invitation to visit. 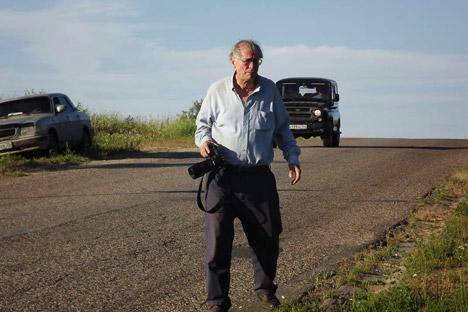 He has been approached about doing a book on Siberia, but is concerned about the time it would take to develop a unifying concept for such a vast area and make the trips to take the photographs. He would like to do a trip to the Russian south and photograph some cities he has never visited, including Krasnodar and Astrakhan. Such a trip would take him in the footsteps of early 20th century photographer Sergei Prokudin-Gorsky, whose early color photographs of imperial Russia prefigured Brumfield’s own work. “I’m whittling down this menu of options, but fate has a way of determining these journeys,” he said. Although he says that he has spent more time in Russia than any American who doesn’t live here, Brumfield has no desire to move to Russia and do photography full time, because that would mean giving up teaching.